One of the first accessories you should buy for your cat before you even bring your new pet home is a cat carrier. In fact, your cat’s carrier should be personalized for your pet and just important as his or her food bowl and toys. However, there is more to consider when shopping for a carrier than knowing if your cat will fit in it. Why Do You Need a Carrier? Don’t most cats just sit in the seat or layout on the dashboard when traveling? Some may do that, but not most. And, it’s actually not that safe to allow your kitty to roam free in your vehicle while you’re on the move. Cats are naturally inquisitive creatures. If you allow them too much freedom in a moving vehicle, it could be dangerous for you and your kitty. There are too many hiding places in a car and those places could spell danger if you have to stop quickly or are in an unfortunate vehicle accident. Keeping your cat secured safely in a carrier will give you peace of mind while you’re driving and ensure your cat is safe in almost any situation. Whether you’re going to vet for a check-up, visiting friends across town or boarding a bus or plane for long distance travel, a cat carrier is essential. It won’t just protect your cat and keep it safe and secure, it will prevent any chance that your pet will get free and wander off, never to be seen again. Cats can be feisty and easily frightened when in a new environment. But, if you get your new pet accustomed to traveling in his carrier, he’ll feel much more at ease and safer any time you take him outside of the house. So when you go shopping for everything you need for your new family member, make sure a cat carrier is near the top of the list. How Do You Choose the Right Carrier for Your Kitty’s Needs? The right carrier for your pet does not necessarily need to be the most expensive. However, the price should not be the most important factor either. There are several considerations when shopping for a carrier, like for what situations will it be needed. The best suggestion is to have one carrier that will work in any situation, whether you are taking the cat to the vet, visiting friends, staying at a hotel or traveling by plane. Once your kitty feels safe and secure in the carrier, you should be able to use it any time you need to take the cat outside of the house. When you’re shopping for your new carrier, keep your pet in mind and how much time you think the cat will be inside of it. Think of the carrier as one of your pet’s beds. It should be a safe and familiar place whether he’s at home or traveling. You should not leave the carrier to sit idly, collecting dust in the garage, basement or attic. If the only time the cat sees his carrier is when he goes to the vet, then any other time you travel with your cat, he’ll think he’s going to the vet again and won’t want to get inside. One of the biggest mistakes some cat owners do is try to put their cat in its carrier only when they’re going to the vet if they can even get their cat to the vet. 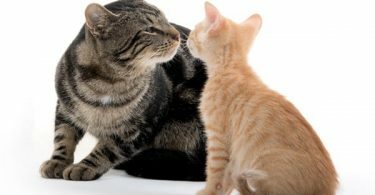 In fact, according to Dr. Patty Khuly with VetStreet.com, many cat owners end up canceling their pet’s appointments because they can’t get their cat into the carrier. Jackson Galaxy has an entertaining video for how to train your cat to be comfortable in the carrier before you actually have to use it. The best way to get your kitty used to his carrier is to leave it out and open. Put a favorite blanket and toys inside so he knows it’s his place. If you find your cat napping inside of the carrier, that’s a good sign that he’s getting used to it and enjoys being in it. He won’t mind if you pick it up and move it around because he already feels safe. One of the best considerations in looking for a carrier is thinking about your cat and its temperament. The carrier should fit the cat more than the cat fitting in the carrier. What Type of Cat Is Your Pet? 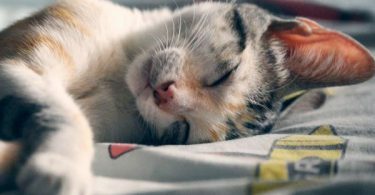 If your new pet is still a kitten, you may not know yet what its temperament will be like when it gets older. It’s best to be prepared for anything when you’re shopping for its carrier. For example, your cat may grow to be on the feisty side and no matter how much you prepare ahead of time, it just won’t go into its carrier without a hassle. To prepare for this type of cat, you should choose a carrier with multiple entries and exits. Some cats may prefer being lifted and placed into the carrier feet first from the top. Other cats may simply walk in on their own, especially if they have had time to get used to their carriers first. If you decide not to de-claw your kitty, you may need to opt for a durable plastic carrier rather than a soft-sided one that won’t be scratched to shreds over time. You can put a blanket down in the carrier and replace it later without putting out the expense of buying a new carrier. To prepare for a cat that seems to get out of anything by squeezing through cracks, you may want to avoid carriers that have snaps, Velcro or zippered closures. They just might end up being challenges for the escape artists. 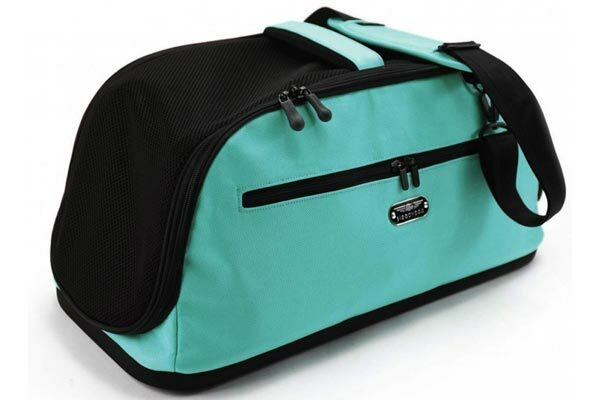 To be ready for a kitty that may get motion sickness when traveling, a durable plastic carrier is much easier to clean out than a soft-sided carrier. Your cat should fit comfortably inside the carrier. Even though cats tend to like small spaces, they do not like being overly confined. You need a carrier that your kitty can get up and move around in and has plenty of ventilation, yet small enough so your pet still feels snug and secure when inside. Shop for carriers made of durable materials, like a plastic carrier. Yes, those nylon carriers may look chic and fun, but you may end up having to replace it over time depending on your cat’s demeanor. Consider in what situations you will need a carrier. If your cat will only be traveling in a car, you don’t have to meet any specific airline requirements, but you still want your pet to feel safe and secure inside his carrier even for short trips. If you are set on buying a soft carrier, and you won’t mind cleaning it often, soft carriers are ideal for smaller cats that don’t weigh much. If you think your cat is going to be on the larger side, a durable plastic carrier will probably be more suitable. The latch of the carrier’s door should lock firmly and securely but also quietly. There are some cats that startle easily by sudden noises. If the opening or closing the latch creates a sudden pop or snap, your kitty might jump and squeeze past you. You don’t want your cat jumping out of the carrier at the worst possible time and place. This is especially important if your cat is more prone to car or motion sickness. Many nylon carriers have a hard removable base that you can easily remove and clean. Most of the fabric carriers can be cleaned in a washing machine after you remove the base, which may need to be hand-washed. On the other hand, hard plastic carriers are easier to clean if you can simply hose it down and wipe it out. What Types of Cat Carriers Are There? There are so many types of cat carriers on the market, it’s easy to be overwhelmed and confused about which to buy. The main thing is not too big, not too small, but just right. If the carrier is too roomy, your cat can easily be tossed from side to side or slip and slide inside the carrier. If you buy a carrier for your kitten to grow into, you should add some padding inside the carrier to keep your kitty snug and secure. Conversely, a carrier that is too small will not leave enough room for the cat to at least stretch or turn around. There also may be limited ventilation, which could be dangerous to your cat’s health and safety. There is also the decision of a sturdy, hard plastic carrier or a soft-sided nylon carrier; carriers with multiple entries and carriers that have removable tops. It can be daunting, but the most important factors in determining what style of carrier you should get is dependent on the type of cat you have and what you’ll be using it for. These carriers are sturdy, durable and made of plastic. However, they do have their own pros and cons. While they’re much easier to clean than a carrier made of nylon or other soft material, if you do a lot of airline travel, they may not fit under a seat in the cabin. On the other hand, if a heavy object happens to fall and hit the carrier, your pet is more protected than being in a soft-sided carrier. Higher quality hard carriers have mesh doors made of metal, not plastic, and metal latches to keep the door closed securely. 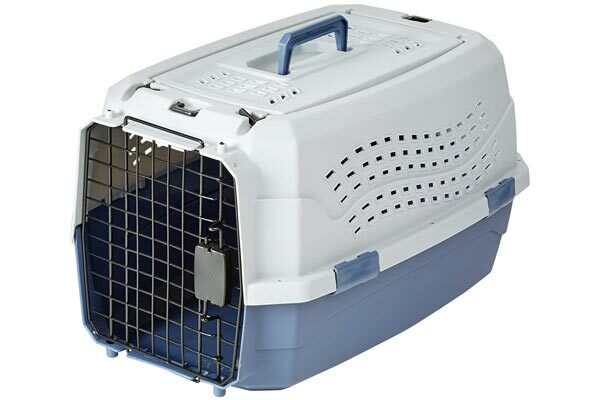 The AmazonBasics Two-Door Top-Load Pet Kennel is an example of this type of carrier, and it’s rather inexpensive so you get quality and a low price. Although these types of carriers are lighter and easier to carry, there are some considerations to buying one for your cat. Since the material is usually some type of nylon, you should only use one if your cat is a calm traveler and is not prone to being extra nervous. An agitated kitty can easily claw through the mesh doors or ventilation panels, or worse, claw through the zipper and escape. Veterinarians over at CatHealth, also suggest it’s a good idea to have a carrier that comes apart if you have a cat that isn’t comfortable getting into and out of one on her own. When it’s time to free your kitty, the carrier top removes easily so you can reach in to get your cat, rather than trying to coax or pull her out of the small door. Are You Traveling by Plane with Your Cat? Did you know your cat carrier must be airline approved? Generally, the carrier must be able to fit under your seat if you keep the cat with you. But there are other restrictions as well, and they may differ from one airline to the next. It’s safest and most secure for you to be able to keep your cat with you in the cabin and not checked in as baggage. To be safe, before you book your flight, check with the airline to make sure they allow pets to stay with their owners on board. If they don’t, choose an airline that will. Your kitty is a family member, not a piece of checked luggage. Most airlines have restrictions such as one pet per person so if you have more than one cat, you’ll need to have a friend or family member with you to travel with your second cat. If you’re going to carry your cat in the cabin with you, the total weight of your cat plus the carrier must be 20 lbs. or less. Most cats are so light that you could probably add your pet’s favorite toy inside the carrier and still be within the weight limits. The size of the carrier is critical also, so check with the airline ahead of time to make sure your carrier is in the approved size range. One of the most suggested carriers for airline travel is the Sleepypod Air, available on Amazon. They come in a variety of colors too! For extra comfort for your kitty, Sleepypod also makes a plush air bedding for their carriers. You’ve decided on the type of carrier that’s best for your pet. Now it’s critical to get the size right. How big is your cat? If you have a new kitten, how big do you expect it to grow? You don’t want to buy a smaller expensive cat carrier that your kitty will grow out of. It’s also good advice to get your pet used to and comfortable with a carrier that you will still be able to use once the kitty is an adult. You’ll not only save money, but you’ll also save the time and hassle of getting the cat used to a new carrier. As suggested by the Animal Hospital of North Asheville, buy a carrier that the kitten will fit into as an adult, even if the carrier is too large for a kitten. You just add some extra towels or blankets around the inside floor of the carrier for your kitten to safely snuggle into. As your cat grows to adult size, just remove some of the extra paddings. How Do You Find the Right Size Carrier for Your Cat? As mentioned earlier, your cat should be able to stand and turn around in his carrier. This is the best size for taking short trips, like going to the vet or visiting local friends and family. However, if you like taking your cat on longer or overnight trips, the carrier should have enough room for food and water bowls, but not overly large so that your cat gets bounced around from one side to the other while traveling. The best way to know what size carrier to get is to measure your cat. If your cat is still a kitten, you can estimate how large the cat should grow and use those dimensions. How Do You Measure a Cat? Have you ever tried to get a cat to just stand still? And if they’re asleep, they’re rarely in a standing position or lying stretched out so you can measure its height and length. For a carrier, you really only need the cat’s height, length and weight to make sure you get the correct size and type of carrier. But trying to do this yourself might be a chore. If you have a rather mellow cat who doesn’t mind being handled, you can get a friend to hold your cat in a standing position for measuring. The best option, though, for getting correct measurements would be to have your pet measured while at its next vet check-up. The doctor and assistants are used to handling all types of cats and you’ll probably get the best measurements while in the office. Again, if your new pet is still a kitten, your vet should be able to estimate how large of a cat he’ll be when fully grown. 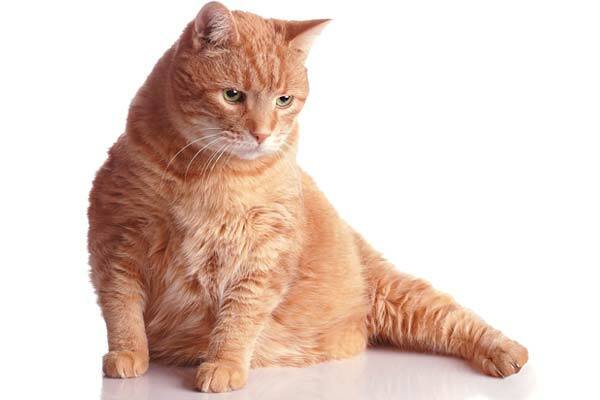 If you haven’t been able to measure your cat and you don’t want to make a vet appointment just find out his size, you can use a carrier size chart and your pet’s weight to estimate his size. This will help get a good idea of what size carrier will be best for your cat. For example, generally, small cats weighing up to 10 lbs. are about 16 inches long and 9 inches tall. Adding four inches to the length and height of your cat will ensure enough space, but not too much, for your cat to be safe and snug. How Do I Get My Cat Into the Carrier? If your new pet is an adult cat who hasn’t been raised with a carrier, getting your cat into its carrier can be an adventure, and sometimes not a pleasant one. If the carrier only has one entry/exit door, you might try to coax the cat to go in by putting some treats inside. Once in, just close the door. If the cat won’t go in, the next method might work. First, you’ll have to put the carrier on end and open the door. You’ll have to lift the cat up and place him inside feet first. The vets over at cathealth.com suggest buying a carrier with a removable top for cats that are reluctant to go in from the front or sides of the carrier. You just have to make sure the cat doesn’t jump out in the process. 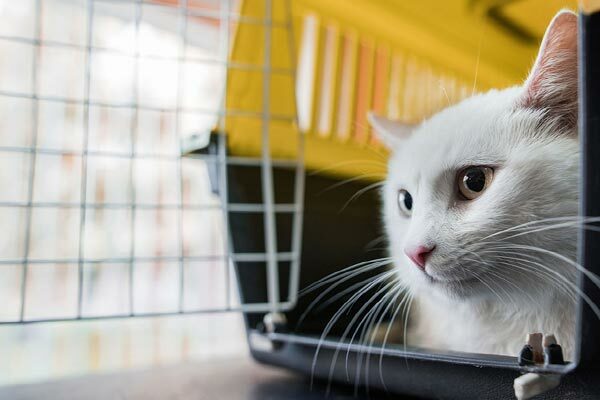 Ken Lambrecht with PetMD also has some helpful tips for getting your cat used to its new carrier before you have to travel with your pet. These tips for buying the right cat carrier should eliminate any stresses not only in getting the right carrier for your pet but also in getting your cat to go inside without any undue pressure. Your cat will think of his carrier as a second home, a comfortable, safe and familiar place where he can snuggle up for the ride, no matter where you’re going or how long. Once your cat is used to his carrier, you should not have to fight to get him to the vet for regular check-ups, or worse yet, canceling the appointment because you just can’t get him into the carrier. Making sure your pet is familiar and comfortable with being transported inside a carrier is a big part of cat ownership and in having a healthy, happy cat.